The Indian IT industry has always been a goldmine for international tech giants. With the country being at the cusp of AI crossroad and with key industry players looking at means to integrate technology in their business processes, India has emerged as rich playing field for AI research and development. With emerging markets like India forecasted to contribute up to 55% to global GDP, the latest trend among tech giants has been to establish their Centres of Excellence (CoE) in India. This has been helping leading companies, even the ones which are outside the technology domain to be a part of the next wave of the growth by understanding its complex market, talent and evolving regulatory environment. Some of the biggest names from technology domain include companies like IBM India, Adobe Microsoft and Google, that have set up their CoEs and have already partnered with numerous government and private agencies to drive the next wave of growth in the industry. Recently, there has been a spurt in companies outside the tech domain that are now setting up their technology labs in India. The latest players to set up their tech arms include American technology provider for companies, Ecolab and Latin-American departmental store chain, Falabella. Previously, these companies looked for international talent to manage and oversee the operations in India. But lately, there has been a marked reverse in this trend with the appointment of Indian talent to monitor the development of hubs/technology arms, dedicated to the development of emerging technologies. A number of Indian companies and their multinationals counterparts have started to rely on their internal pool of Indian talent to lead the teams in India and other regions. Increasingly, as more and more offices of companies continue to mushroom across the globe, regional players are now tapping into Indian expertise to scale-up their operations with their international expansion. 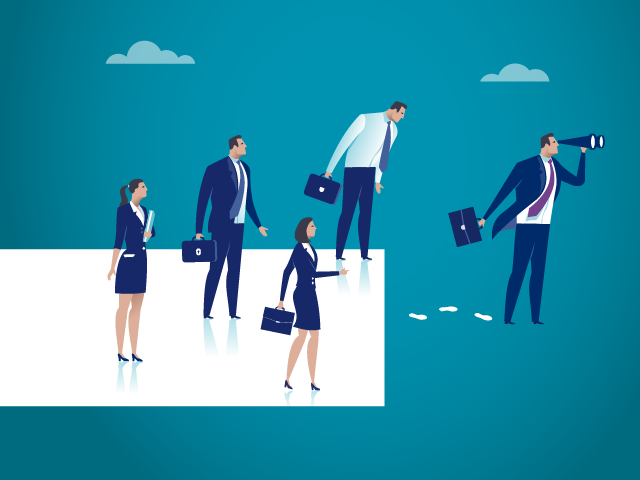 While their responsibilities range from CEO to principal data scientist depending on the organisation, over the years more data scientists have been breaking away from traditional career path to embrace diverse leadership roles. Another interesting trend regarding the industry is the growing number of reverse migration of the techies to India. With the recent protectionism rules kicking in, high potential Indian tech talent and data scientists are now relocating to India. With premium institutes in the country equipping graduates with in-demand skills, even freshers come with baseline knowledge and are able to quickly upskill. Even though the Indian educational system lags behind in providing practical knowledge, young data scientist professionals have quickly adapted to the industry standards with great agility. India is a base for experienced DS professionals: Given the availability of immense talent pool within India, in coming years we will see more Indian talent leading data teams internationally and at home. With the future looking very promising for emerging technologies, more young Indian data scientist will emerge as top-tech leaders.A key advantage that they pose is that this talent base boasts of considerable industry experience. According to a study released by Analytics India Magazine last year, the average work experience of analytics professionals in India was 7.9 years which is up from 7.7 years from 2017. The country also has more than 28,000 Analytics professionals with more than 10 years experience. India is the third largest developer market: “India is soon going to be the third biggest developer market in India as a lot of investment is happening learning, so data science as a stream is picking up and there is a lot of innovations happening. To sum up, there is a lot of positive outlook towards the industry,” said Sandeep Alur, Partner Technology Engagement, Microsoft India, at MLDS 2019. Availability of ML talent in India: “Data science is no longer about sitting there and coding in Python. It is much more than knowing traditional coding sets rather it is about knowing about the optimization of large data,” explained Madalasa Venkataraman, Chief Data Scientist at TEG Analytics. Vibrant ecosystem: Ravinder K Sharma of ABInBev who leads the company’s Growth Analytics Centre & Global Capability Centre in Bangalore told AIM. “Given the demand and scale that we have as a company, we are entering new gaps and building up a strong partnership in India and we came to India to invest in this ecosystem and we are tremendously benefiting from it. We are very bullish on enabling AbInBeV’s dream through our collaboration with India and most importantly, our dream is to export data science professionals from India to democratise the talent”.